One of the best-selling vehicles of all time, the 2016 Honda Accord offers modern styling combined with great fuel efficiency and plenty of standard features that drivers are sure to love. A used 2016 Honda Accord is the perfect vehicle for commuters, families and car enthusiasts alike, offering impressive handling, lots of interior room and an endless range of optional features and equipment to make it your own. 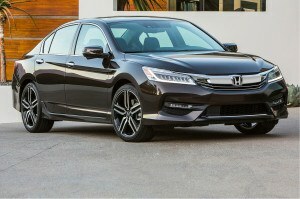 Used 2016 Honda Accords consistently receive excellent reviews and have a great reputation for reliability. At Formula Honda, we can get you into the perfect Honda Accord model that offers great value for your money and long-term, trouble-free ownership! We are actively attempting to source used 2016 Honda Accord models. Please fill out the form below and we will find one for you.